For the Zombie hunter in your life. 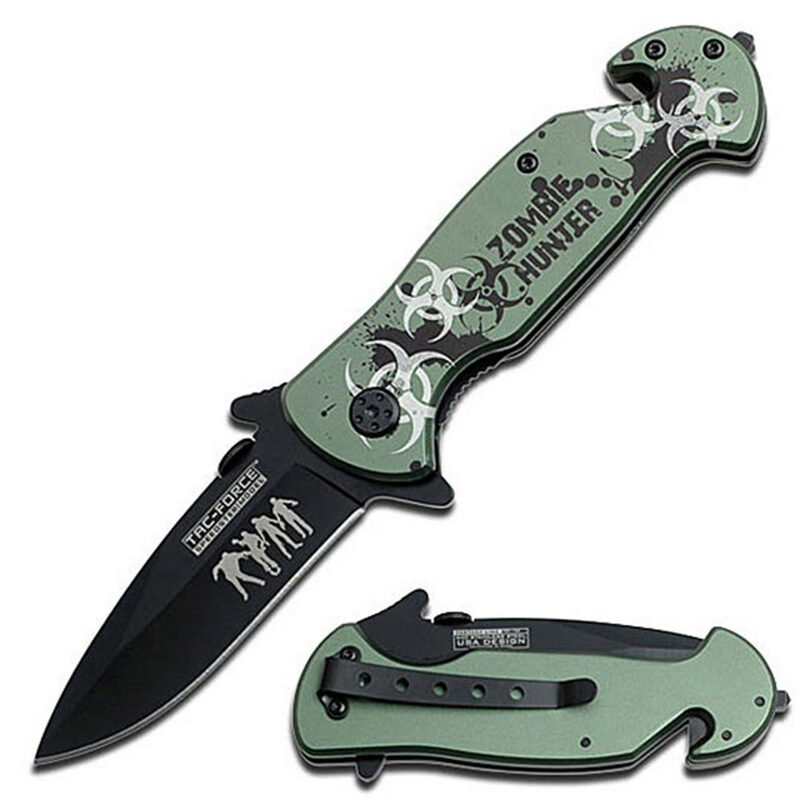 The handle features Zombie Hunter artwork mixed with bio-hazard symbols. 7 7/8 in. overall opened, 3 1/8 in. blade, 4 5/8 in. closed.